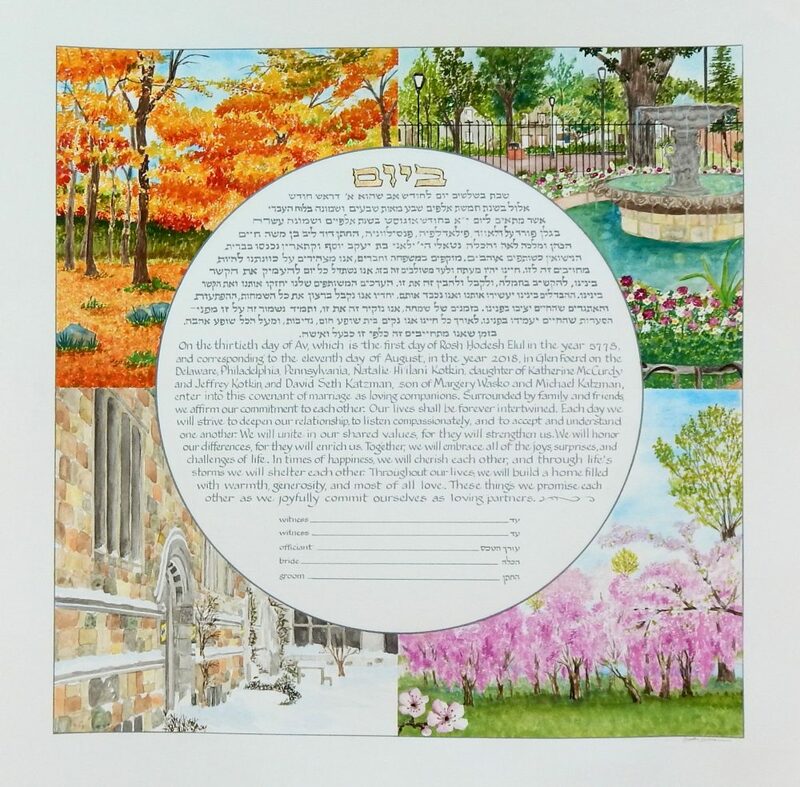 The two places that resonate most deeply with this couple were chosen to capture the four seasons on their ketubah. They met at Yale University, seen here in the winter and autumn, and they live in Philadelphia, with Fairmount Park and Fitler Square representing spring and summer. In order to capture the architecture of two of the corner shapes, I had to consult many, many photographs. Not a single shot allowed me to fill in the deep corners and the extended spaces cut by the circle, so I tried to imagine myself in the physical spaces and ‘walk around’ a bit, ‘looking’ up, down and all around. A virtual tour of the cities! 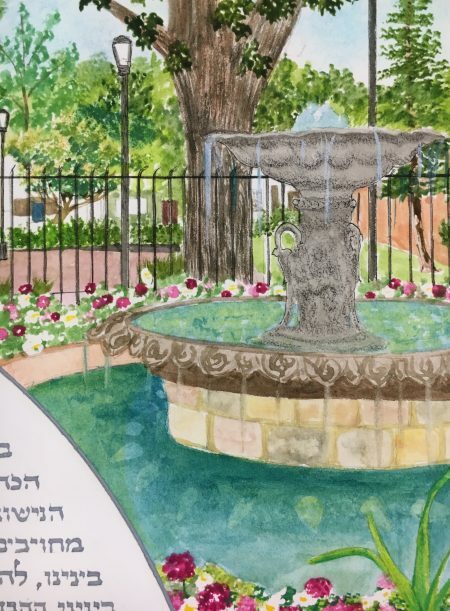 The fountain image is so detailed that before I painted it, I asked the bride to please walk to the park to confirm that, indeed, there’s a bear cub sculpture in the distance!